As you would all be aware, we are now more than ¾’s through the current financial year. It is a busy time of year so I thought I would share my best practice timings for working on your business, rather than in it. Activity Based Costing (ABC) project covering the December quarter actual numbers to be undertaken. The work on this snap-shot costing and profitability exercise covering all products/services for the December quarter should be undertaken during the January/February/March period. The information derived from such an ABC project provides excellent profit insight and cost behaviour understandings and are your most powerful strategic tools. Being armed with such knowledge BEFORE your annual strategic planning process is invaluable. Knowing where you make and lose your money is the very most important step in formulating a strategy and should have been completed by now. Have you? Strategic Planning – Your off-site strategic planning workshop/think-tank should be undertaken during March with your management team. Identify and prioritise what your new strategic initiatives for the following 12months will be. This is done as a precursor to the preparation of the annual budget for the following financial year. This will ensure new strategies are incorporated into the budget thus creating accountability and ownership for executing such new strategies for the next financial year. Forecast full year 2017 9+3 – once your March financial numbers are completed, undertake your 9+3 forecast using 9 months of actual numbers to March and forecast the last 3months. The 9+3 forecast exercise is to be completed in April and comes up with a FY2017 full year forecast. This provides the best starting point for the baseline of your next financial year budget. Budget next financial year – combining your 9+3 forecast, strategic planning initiatives and other factors such inflation, growth etc. you will work on your budget for the next financial year during the May/June period ready for July 1st start of new fiancial year. Our second annual manufacturing survey has closed and produced some interesting results. The personalised reports to survey respondents will be distributed shortly. Thanks to those folks for their participation. So, those are my best practice timings of key business activities. Are you on schedule? Do you disagree with my approach? 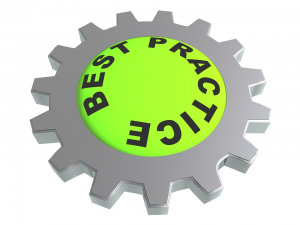 Don’t hesitate to share your best practice views on timings with me. This entry was posted in Uncategorized and tagged activity based costing, chief financial officer, Costing, forecast, profitability, Virtual CFO on March 31, 2017 by rossadmin. The first three parts of this four-part series reviewing your first quarter actual results, verses Budget and Prior Year, covered your Profit and Loss, your Balance Sheet and your Cashflow Statement. Now that you have reviewed your actual results for the quarter, you next need to look at your forecasts for the remainder of the full financial year. 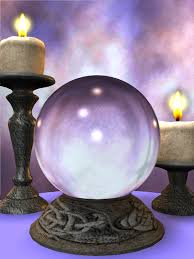 Using accounting vernacular, the 3months of actuals plus 9months forecast will give you your 3+9 full-year forecast. When you come to redo your forecasts after Q2, that new forecast will become your 6+6 full year forecast. Interestingly this is perhaps the most important part of your Q1 review because your historical reports are a reflection on where you have been, whereas the forecast is where you are going based on latest assumptions. You have already undertaken a budget process for the year, so you don’t want to go through another budget process to come up with your 3+9 forecast. You do however want to use your budget, and the assumptions on which the budget has been built, as a starting point and adjust it for known material changes, updates, variances or changes to your base assumptions. I recommend using your budget spreadsheet models and rename them to ‘forecast’ and adjust the numbers accordingly to come to your 3+9 forecast. The development of your phased 3+9 forecasts for the full financial year should be co-ordinated by your CFO/Controller and needs to be presented at your management review meeting to ensure buy-in and sign-off by the management team. As with the budget P&L, sales are the starting point for your full year forecast. You now have the first 3months actual sales so you need to forecast the remaining 9months of the year. Get your Sales Manager to have a look at the budget sales for the 9months to the end of the year and update as required to become your forecast sales. Summing the 9months forecast plus the first 3months actuals will give you your 3+9 P&L Full Year Forecast. The review of sales projections needs to take into account your segment outlooks, forward orders, inflation data, pricing assumptions, economic conditions etc. so that your budget sales figures can be updated to reflect more current circumstances and assumptions and hence become the forecast sales figures. Based on any revisions to the sales forecast verses the original budget, you will need to make corresponding adjustments to your direct costs (direct labour, overheads and materials if you are a manufacturer). As with sales, you will also need to adjust for other known variations to your budget assumptions to your expenses and overheads. If you need to contain costs to compensate for downward sales revisions, these proactive adjustments need to also be reflected in the forecasts. Similarly, if your business is performing ahead of budget, you might need to consider increases to budget overtime levels, increased manning etc. and reflect these incremental changes in your 3+9 P&L Forecast. Starting with your budget Balance Sheet, run the forecast updates to the P&L into your Balance Sheet to arrive at a prima-facie 3+9 forecast Balance Sheet. Further, adjust your Balance sheet for any other known or pro-active changes to your Debtors, Creditors, Inventory, Capital Spending assumptions etc. and other Bank/Funding requirements to arrive at your phased 3+9 Balance Sheet forecast. By updating your P&L and Balance Sheet forecasts, you will have a revised phased 3+9 Cashflow Forecast. This is a key report and will make you aware of your funding requirement changes from Budget to Forecast. You need to make sure the forecast funding outcome is both logical and explainable and passes the ‘sniff-test’ when you step back from the detail. Use this week to derive your 3+9 full year phased forecasts and understand the variations in your forecasts to your Budget P&L, Balance Sheet and Cashflow Statement. Going forward, you will need to measure your actual results against both your budget and forecast numbers as well as prior year numbers, thus providing a sound foundation for business success. Now we have completed the four-part Q1 Report suite, we will revert back to our usual newsletter content. If anyone has any issues or questions they would like covered in future editions, please don’t hesitate to contact us. We have recently moved from our Dandenong South location to be more central to our client’s locations. You will now find us at Ground Floor, 203-205 Blackburn Road, Mount Waverley, VIC, 3149. Our new phone number is (03) 9847-6834. As always, if you need any help or want a no obligation chat, don’t hesitate to contact us. This entry was posted in Uncategorized and tagged chief financial officer, forecast, part time cfo, Virtual CFO on November 1, 2016 by rossadmin.